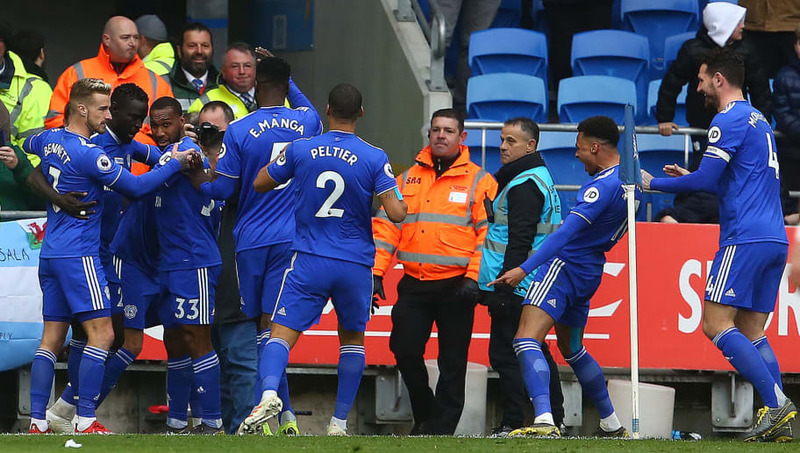 ​Cardiff City host Chelsea on Sunday as they look to climb out of the Premier League relegation zone with eight games to go. Neil Warnock was dealt a blow this week when it was announced that ​Callum Paterson would miss the rest of the season after damaging his ankle whilst playing for Scotland. The ​Cardiff boss is also unhappy with the Iceland manager for playing Aron Gunnarsson in both matches after being told the 29-year-old would not play against Andorra, which is an indication that Gunnarsson may not start on Sunday. Here's how the Bluebirds could line up against ​Chelsea. Neil Etheridge (GK) - Only ​West Ham United's Lukasz Fabianski has made more Premier League saves than Cardiff's number one this season. Oumar Niasse (ST) - The striker on loan from ​Everton is still looking for his first goal for the club but is leading the line relatively well.